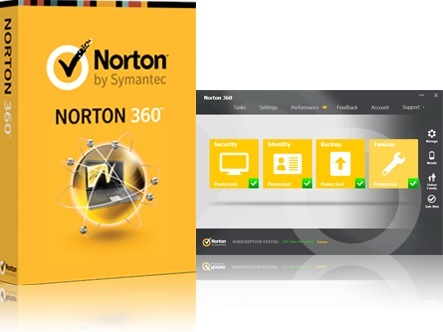 If you just want to protect your computer with simple and easy solution, Norton 360 is designed for less tech-savvy users which includes every security features found in Norton Internet Security and it offers useful backup and tuneup systems. Norton 360 not only includes all the powerful protection found in Norton Internet Security, it also offers full-scale online and local backup plus a full set of system tuneup tools. 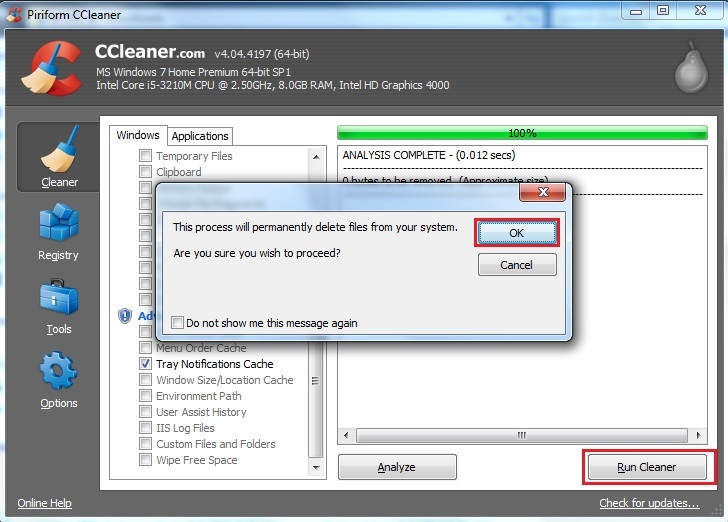 Norton 360 is an excellent malware cleanup, phishing protection, firewall, antispam. On the con side, it has minor effect on system performance. In short, all the protection of Norton Internet Security. 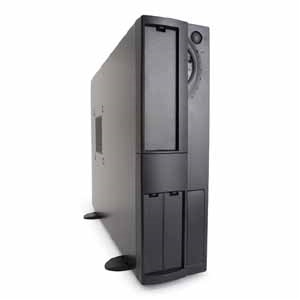 Powerful online and local backup system. PC tuneup speeds system performance. Diagnostic report details problems in system hardware, software, and security. Click the button below to access the best price for Norton 360 product. PC cases com in 6 basic sizes: slimline, desktop, mini-tower, mid-tower, full-tower and cube. 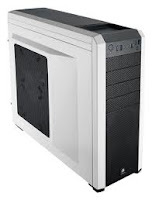 Make sure you get a case that will fit your motherboard - many micro ATX and FlexATX cases are too small for a regular ATX motherboard. 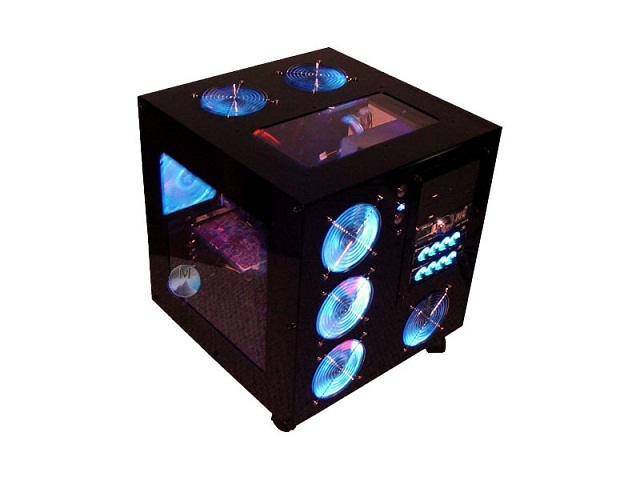 Cube cases generally require a specific motherboard, so be prepared to buy both pieces at once. 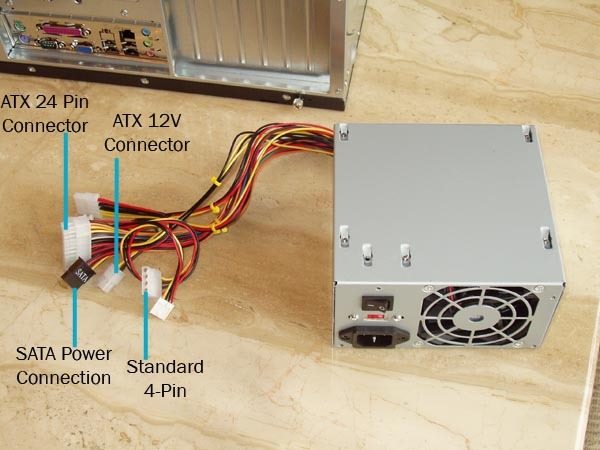 The Power Supply Unit (PSU) converts AC power into the DC power that your motherboard and drives need. Its internal fan also provides essential cooling for the PC components and drives. ATX power supplies dominate the market and plug into all ATX (Advanced Technology Extended) and BTX (Balanced Technology Extended) form-factor motherboards. You will find up to 7 connectors on power supplies. Molex, mini, SATA, PCIe, P1, P4 (or ATX12V 2x4), and AUX - for drives, video cards, and motherboards, respectively. 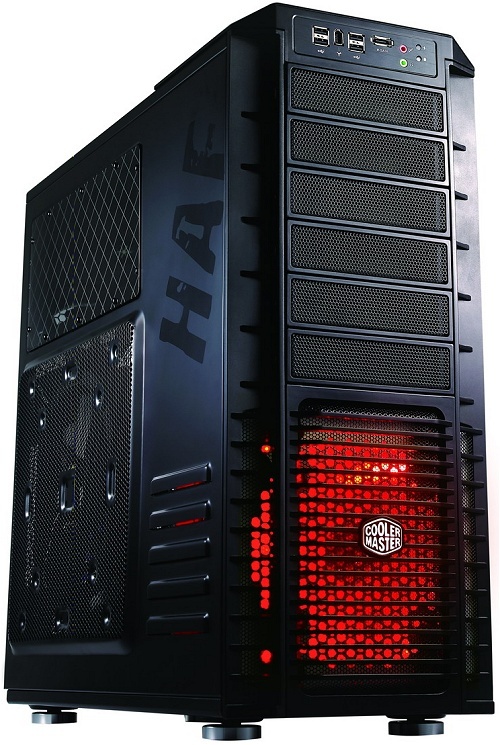 Power supplies are rated in wattage, such as 400-watt or 1-kilo watt; plus better PSUs employ Active PFC (Active Power Factor Correction) to stop harmonics. Power supplies die suddenly or slowly over time. With the latter, the clue is intermittent problems. Replace the power supply, don't try to fix a dead or dying power supply. 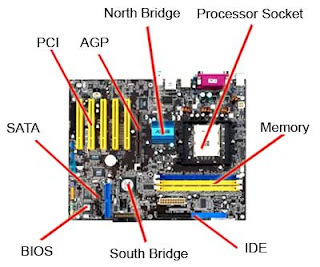 All motherboards have a chipset. Traditional chipsets are composed of 2 chips: Northbridge and Southbridge. 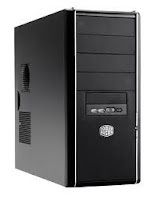 The Northbridge communicates with the fastest devices, namely the RAM and the video card. The Southbridge communicates with the slower devices such as the lower-throughput expansion buses, I/O parts, and integrated peripherals. Communication with legacy devices, such as the floppy disk drive or the serial port, is usually delegated out to a circuit called the Super I/O chips. In many recent system architectures, the CPU communicates with RAM directly, instead of relying on the Northbridge - and in the latest architectures, the Northbridge has been eliminated since the CPU possesses all of its functionality. 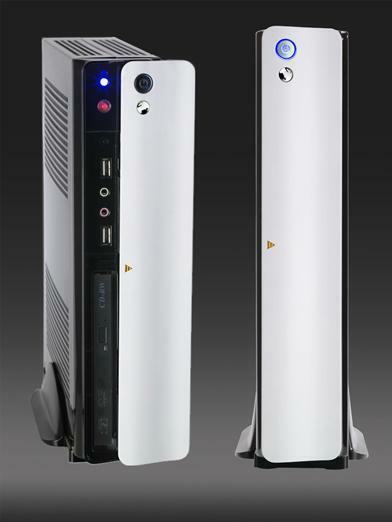 The ATX form factor - including full-sized, microATX, and FlexATX - dominates the PC market. Motherboards support literally dozens of device types through integrated I/O and expansion slots. Installation is a matter of placing standouts properly and screwing down the motherboard. Troubleshooting is tough, though, because of all the variables in the computer, but the fix for a bad motherboard is simple : replace it. 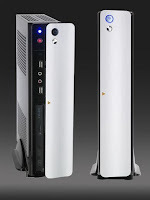 There have been many recent cases on Norton 360 products unable to work properly after installing on Lenovo laptop with Window 7 OS (Operating System). 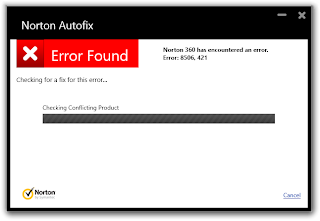 As soon as you reinstall Norton 360, the applicaton is fine. Once you download all the current updates and the application is still fine. 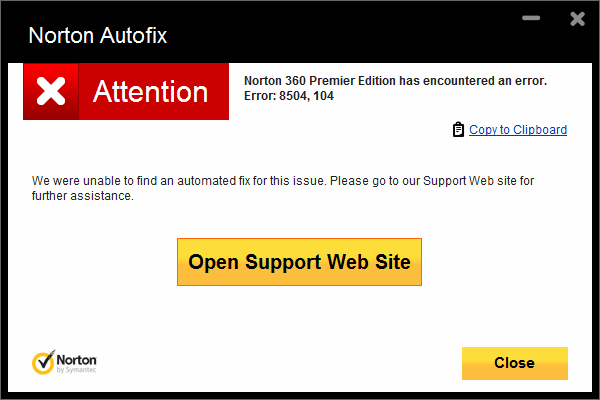 However once the computer is reboot, the Norton application can no longer be accessible. You might have tried to use the above solutions many times but the problem still persists upon the computer restarting. 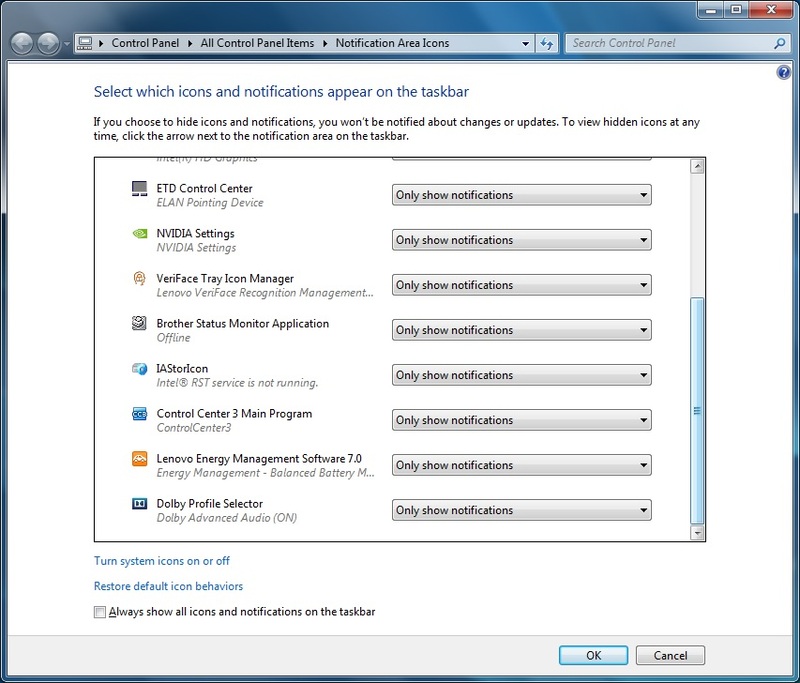 After several testing, it has been proven that some Lenovo software are conflicting to the Norton 360 software to work properly. 1. Uninstalling 'Rapid Boot' software in Lenovo laptop. 2. 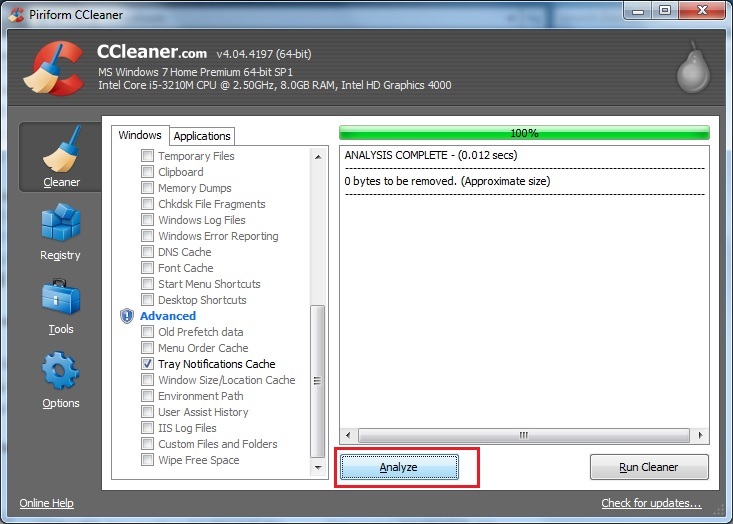 Uninstall 'Instant Reset' software in Lenovo latop. After uninstalling the above mentioned software, the Norton 360 product is working back to normal. If you are using Lenovo laptop with Norton 360 product, this two possible solutions might help you to solve the problem. In some computer are preinstalled with McAfee Internet Security. 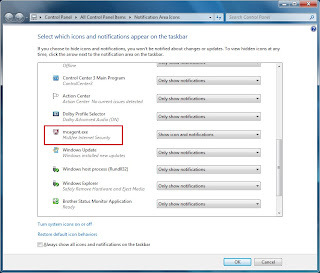 Control Panel > All Control Panel Items > Notification Area Icons, mcagent.exe - where McAfee Security Center is still on the list. 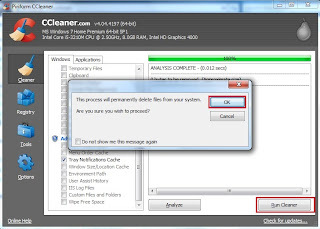 The issue is that some computers are pre-installs with McAfee and new customers that don't want it, waste a lot of time removing the program and then find there is still one more thing to do. It appears this is a Windows 7 issue. Click on double arrow in taskbar > click "customize" > mcagent.exe still there after using the removal processes with MCPR tool (McAfee removal tool). 2. 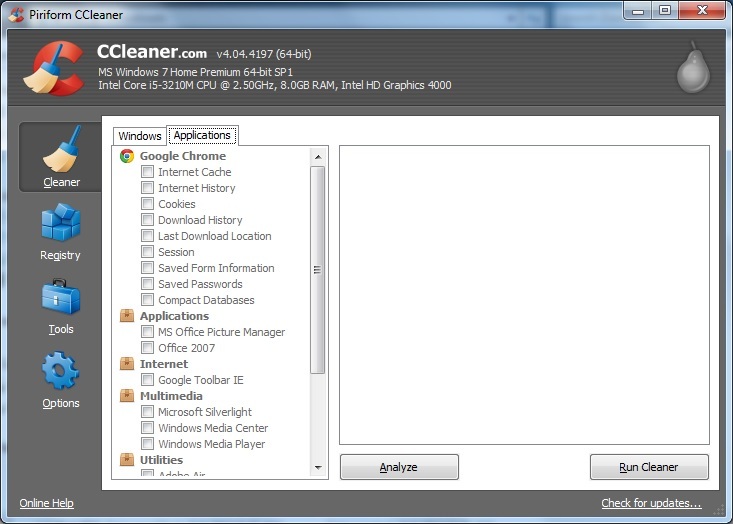 Go to Cleaner. 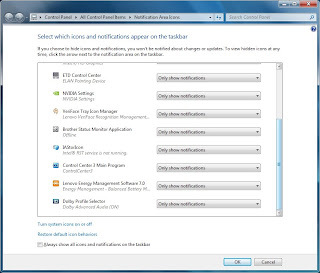 Uncheck all selections under Windows and Applications tabs. 4. Click Tray Notification Cache. 9. 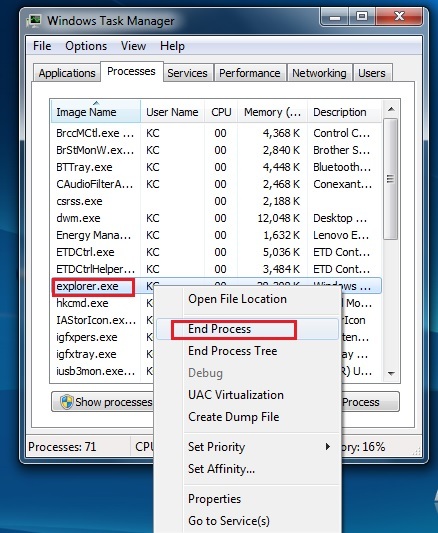 Click Start task Manager, click Processes, right click explorer.exe, end process (desktop will disappear). 10. Press Ctrl-Alt-Delete, on right side see red button, press and restart. 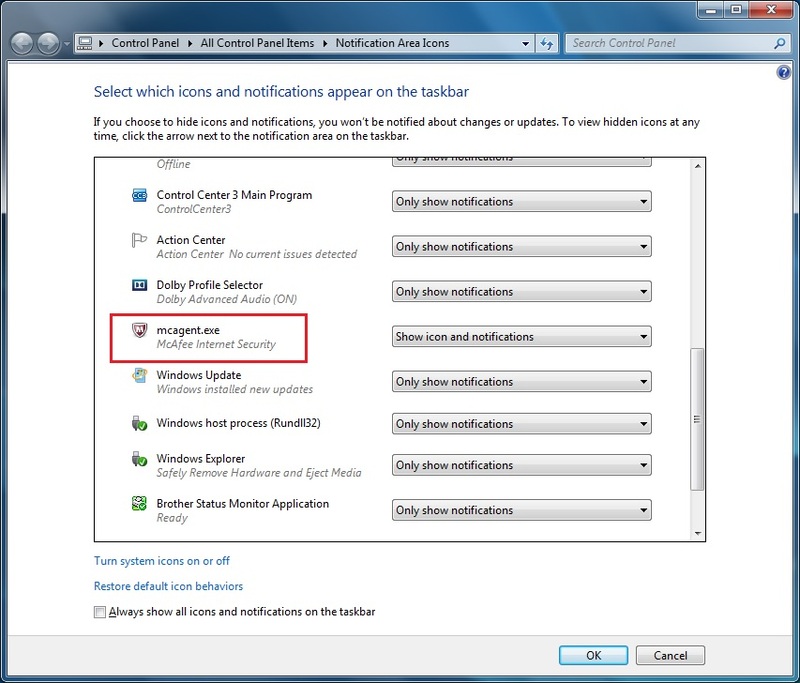 Result: mcagent.exe should be gone from Notification Area Icons.